Are you Black Friday ready? No matter how you feel about this relatively new marketing phenomenon, it is important your business is ready to tackle it head on. Whether you love or loath Black Friday, it’s here to stay so read on to find out how your business can deal with it. Black Friday is no longer a single day, Amazon have made sure it lasts over a week and we are already seeing deals despite Black Friday being 5 days away. Make sure your creative is eye-catching and stops people scrolling long enough to read your offer. Share your offer across all your social media platforms as many times as is appropriate for the platform. Eg. on Twitter you can mention it several times a day, whereas Instagram really needs one main post and then daily reminders in stories. If you plan to run paid Facebook ads to promote your offer do it now. The Facebook ads algorithm needs a few days to settle and serve to the right people. Starting a Black Friday advert on Friday won’t help you at all. Be prepared that your advertising costs will rise this week. Black Friday, Cyber Monday and the fact that it is Christmas means that advertising costs are way higher than any other time of the year. The way to counteract this is to increase your daily budget. Not giving your customers a Black Friday deal? That is completely fine. Not all businesses want to succumb to this madness and there are other ways you can use this to your advantage. Anti-Black Friday offers might be a better idea for you. Instead of an offer what about donating a % of each Black Friday sale to your favourite charity? Or asking your followers to consider donating to charity instead of going crazy on their spending this week. You can use Black Friday as a marketing opportunity even without making an offer. 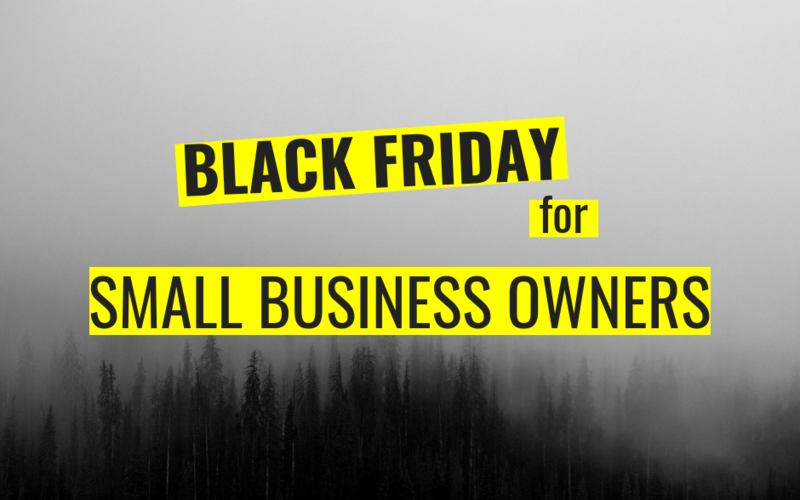 Sharing your reasons for not giving your clients a Black Friday discount is a great content idea. Write a blog, record a video or just write a post giving people some behind the scenes details about how you made this decision and why. You can repurpose this in many forms across all your platforms. Above all of this, remember that Black Friday is just a marketing idea. Don’t get sucked into it unless you really want to.